Jane also offers individual sewing lessons by the hour in her sewing studio in Walnut Creek, CA. Her expertise lies not only in construction but also in design and fitting. So if you have a project you would like some expert help with, simply call Jane at 925-939-2328 to set up your private individualized sewing class. You and Jane can work on fitting, designing, sewing, tailoring, couture, or any of your other sewing needs. 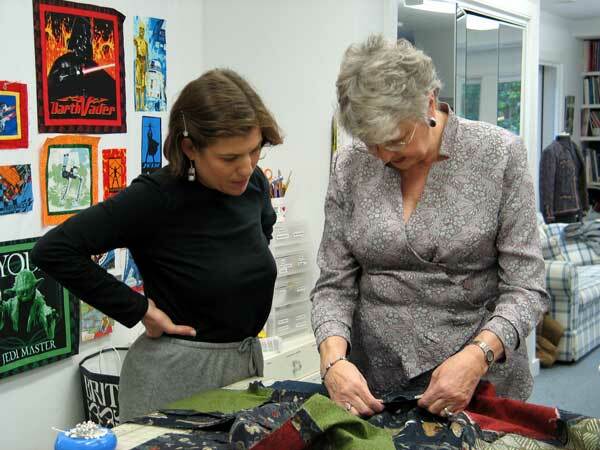 Students are pleased with the individual time they have with Jane, and are inspired to go on and sew wonderful projects. This service is used by both advanced and beginning sewing students. Sometimes new students will start out with a private sewing class, and then continue with the scheduled sewing classes Jane offers. Fee is $85 per hour.